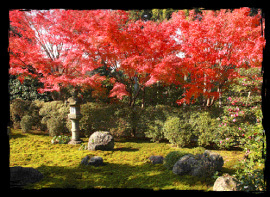 On the west side of the Tofuku-ji Temple grounds there is a high pagoda temple structure, the Tentoku-in Temple, famous for its flowers. Here you can find Kirishima rhododendrons in April, Chinese bellflowers from June through November, and camellias in winter, so for those in the know, this is the place to go for flowers. 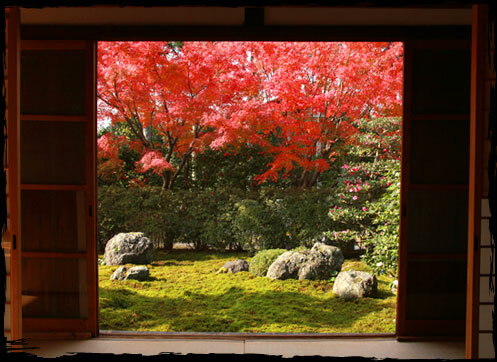 Normally, the Tentoku-in Temple is closed to the public, but in the early part of summer and autumn when the Chinese bellflowers are in bloom, there are special open seasons. 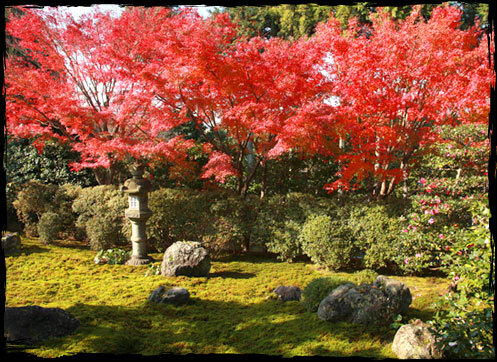 Constructed in the Momoyama Period, the karesansui rock garden is spread out before the Hondo Hall, and in autumn, the contrast between the green moss on the Japanese cedar trees and the red leaves is especially vivid. 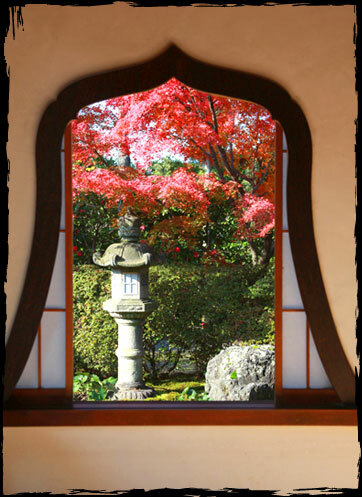 In addition, the bellflower-shaped katomado window in the Hondo Hall provides a picturesque view of the autumn leaves framed by the window casing. Even though the autumn season is usually crowded, here you can find a relatively quiet space and really enjoy the season’s colors. 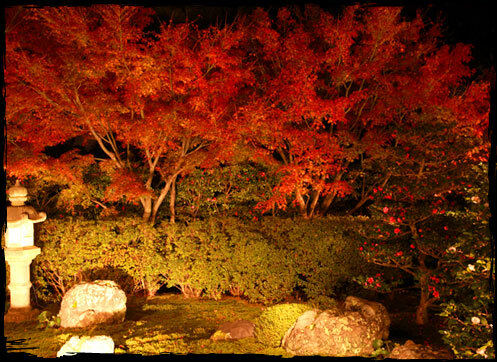 There is a special season when the scenery is illuminated at night, and it is certainly worth coming then if you can.